Hand embroidered by women from the Shipibo Community in both traditional and non-traditional patterns, reverse side in solid color cottons or silks. Custom Configurations available. 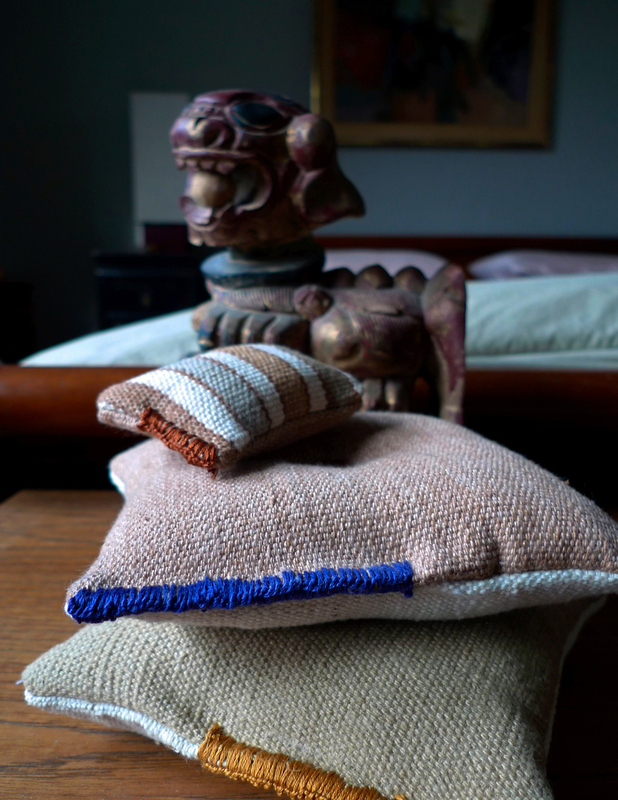 Organic Peruvian Native Cotton is used to make these cushions in all shapes and sizes. Available in anything from large floor cushions to tiny aromatics. Custom configurations available. Woven from a durable local straw, these pillows are great for the country or for the seaside. Standard squares are fitted with an oversize tassel, custom configurations available.